Hello and thanks for the membership to NAQCC! 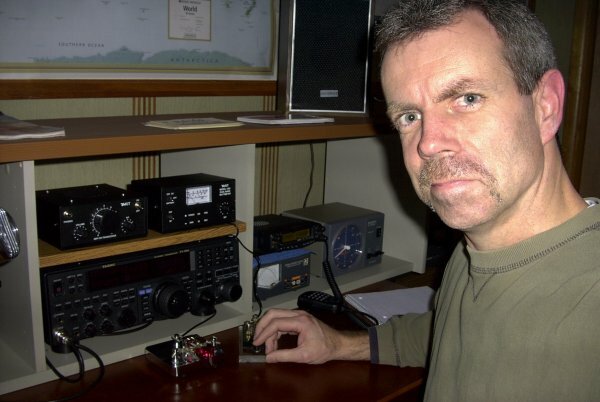 My name is Mark Eldridge and I have been a licensed amateur radio operator since 1994. I hold an Extra Class License and enjoy HF, VHF and UHF. Most recently I have discovered the joy of CW and QRP! Still not the best at it....but the CW is coming along. Think I'm around 13 to 15 wpm send and receive. In the picture you will see my QRP rig which I just recently finished. It is a Ten Tec 1340 kit which operates on 40 meter with an output of 4 watts. Also, next to the rig is my Ten Tec 1202 which is an awesome compliment to the 1340 rig. I wish Ten Tec was still making these but unfortunately not. I just built this piece of equipment also, after finally finding one online at a shop in Australia! My antenna that I run the QRP rig on is a ground mounted 33 foot vertical with about 18 radials buried beneath the surface. This setup seems to work GREAT! So far I have worked 11 states on 4 watts with the furthest away being California on New Years Morning. Working stations QRP is much more fun than I ever thought it would be. The thrill is there just as much (if not more) than making that contact to the other side of the globe with big power. It's even that much better when you know you are on a rig you built yourself!